Mother’s Day is coming up quickly. Have you decided how you’d like to treat your mother? Or maybe what hints you want to give to your children? 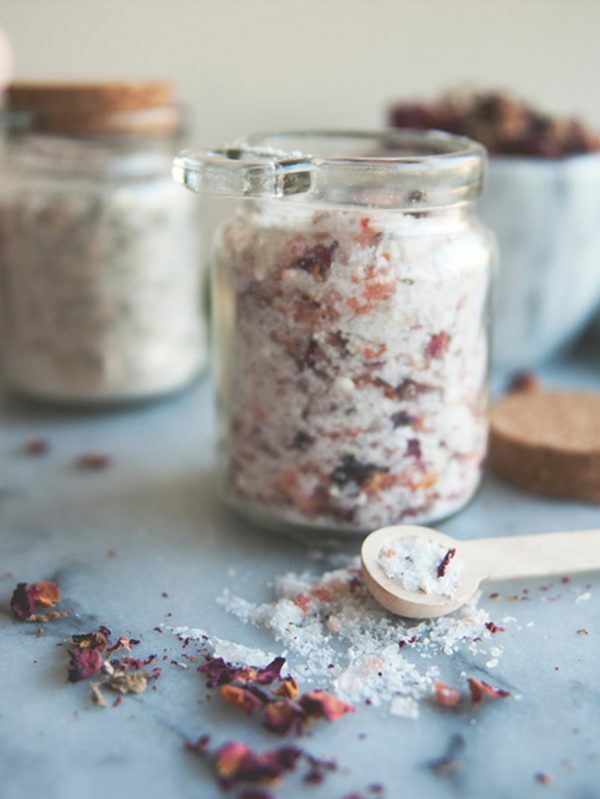 With 4 days to go, you’ve got a little bit of time left to make a quick DIY Mother’s Day gift. 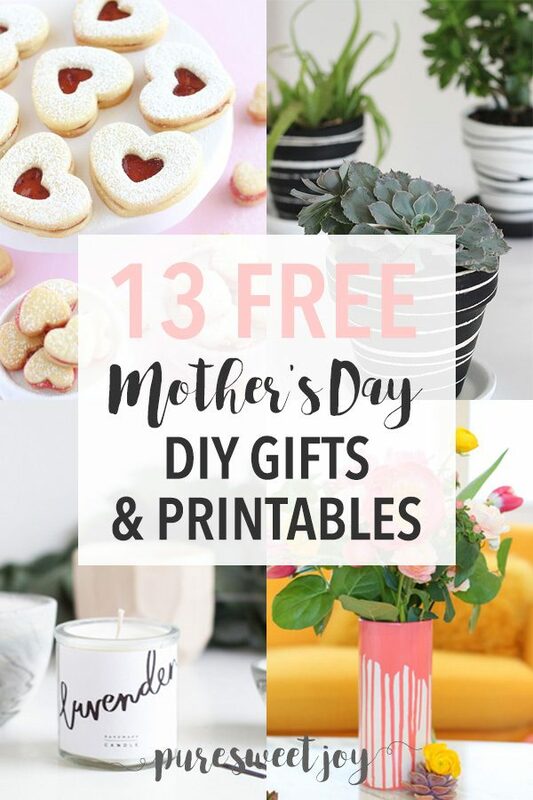 I’ve rounded up some lovely ideas below, for gifts that mom will actually want! 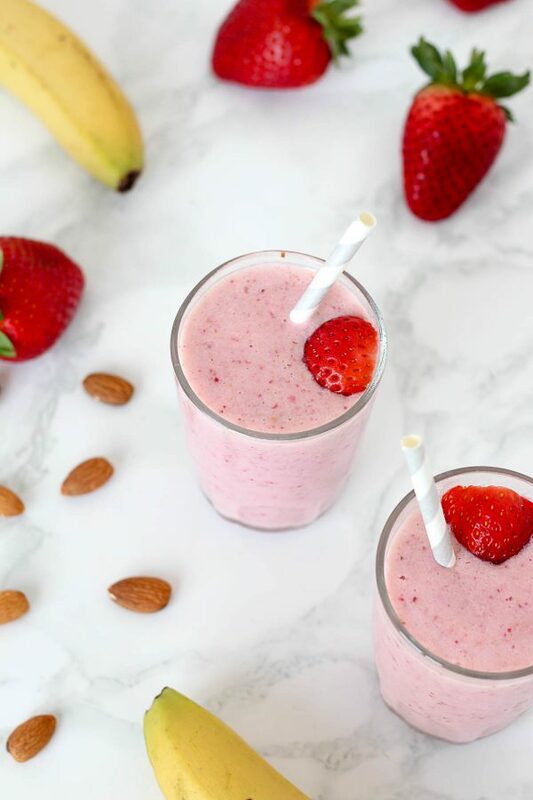 Start her day off well with a delicious breakfast smoothie. 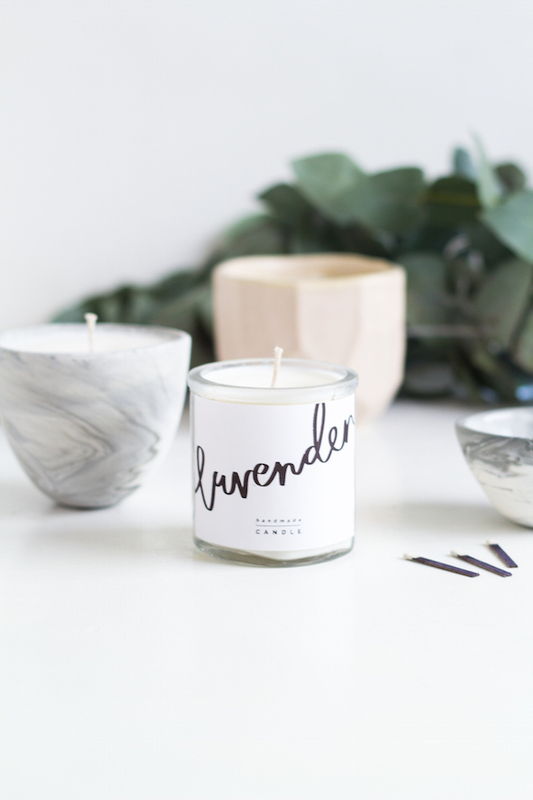 Make these DIY scented candles, with printable labels, from Fall for DIY and give her the time to relax and unwind. 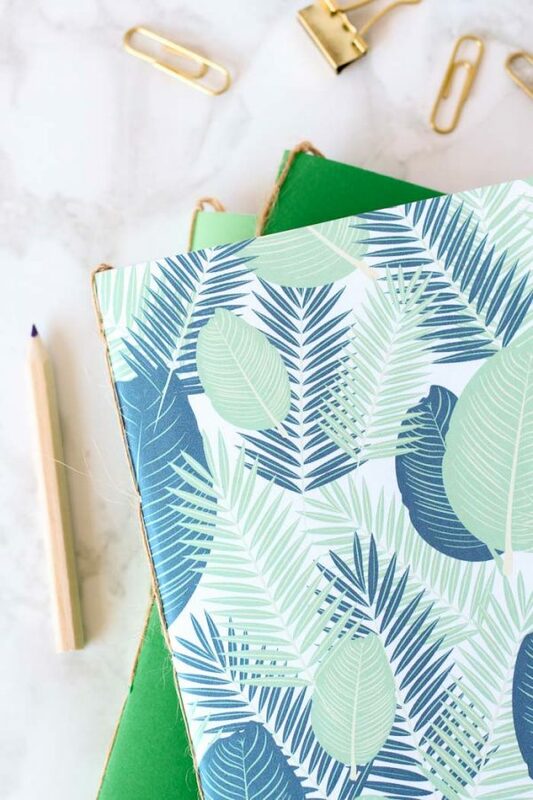 Use some pretty paper (or print your own design), to make her these DIY No Glue Notebook from Homeology. 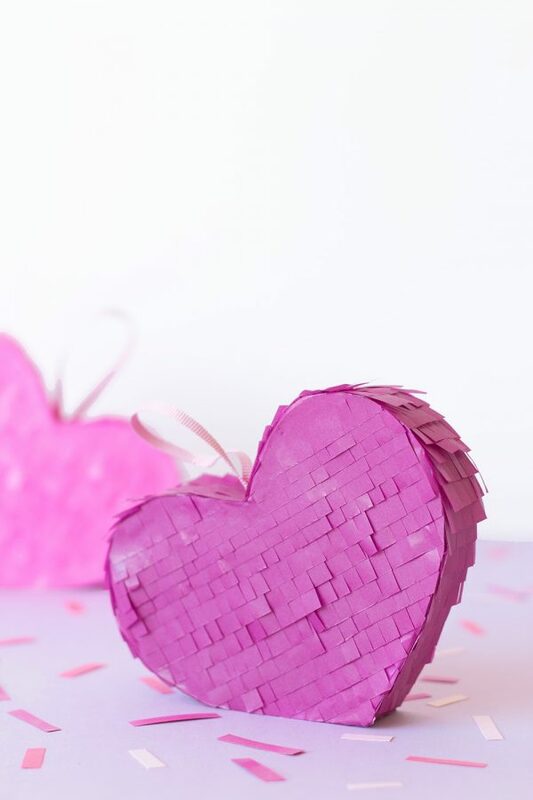 Show her how much you love her, with these DIY Heart Pinatas, from Pure Sweet Joy. Stuff them full of little goodies that you know she’ll enjoy. 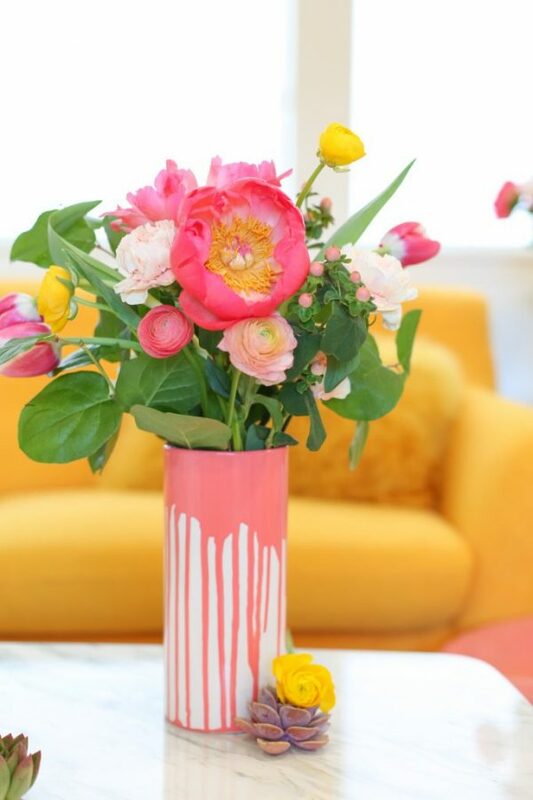 Spice up the beautiful bouquet of flowers, by giving it to her in this DIY paint dipped vase, from Lovely Indeed. 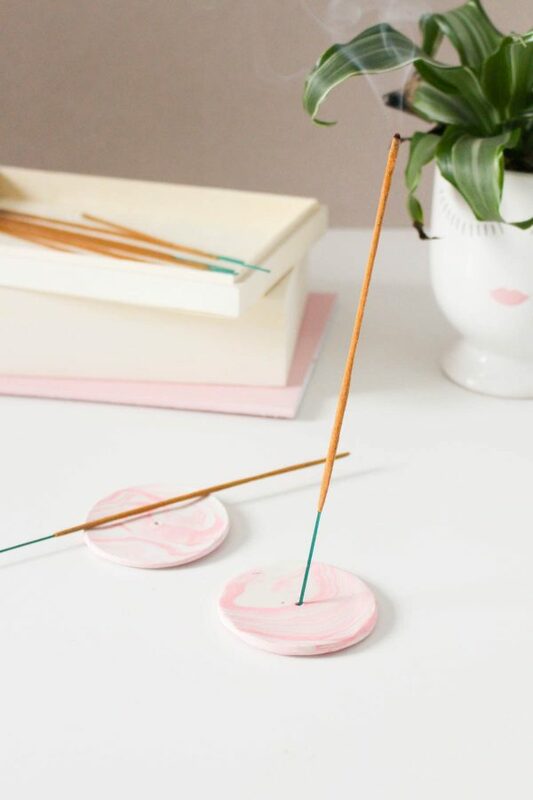 Make these simple clay incense holders, by Sugar and Cloth, and include incense sticks in her favourite scent. 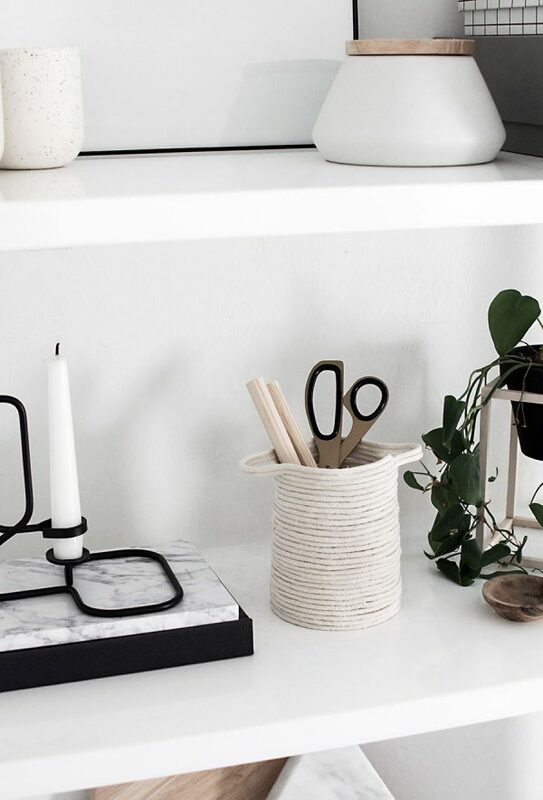 Make her her own custom rope basket, to store her stationery, make-up or bits and bobs. From Homey Oh My. 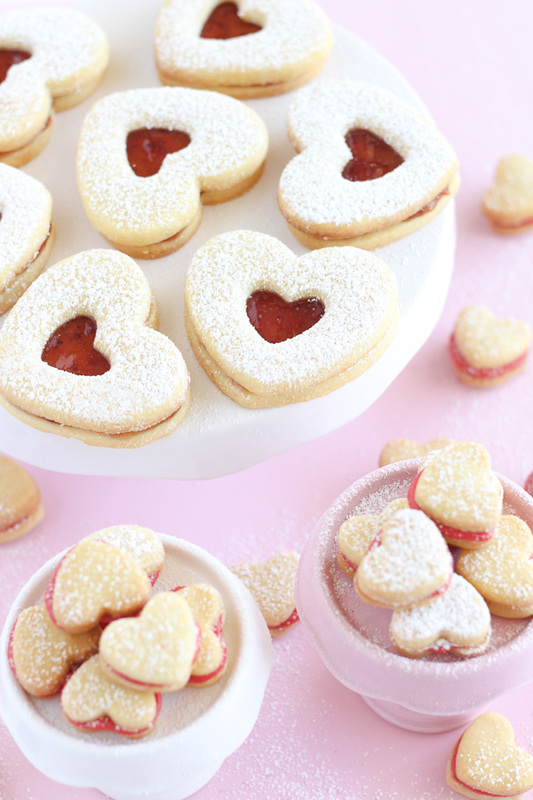 Spoil her with a little cookie deliciousness, with these jam filled cookies, from Pure Sweet Joy. 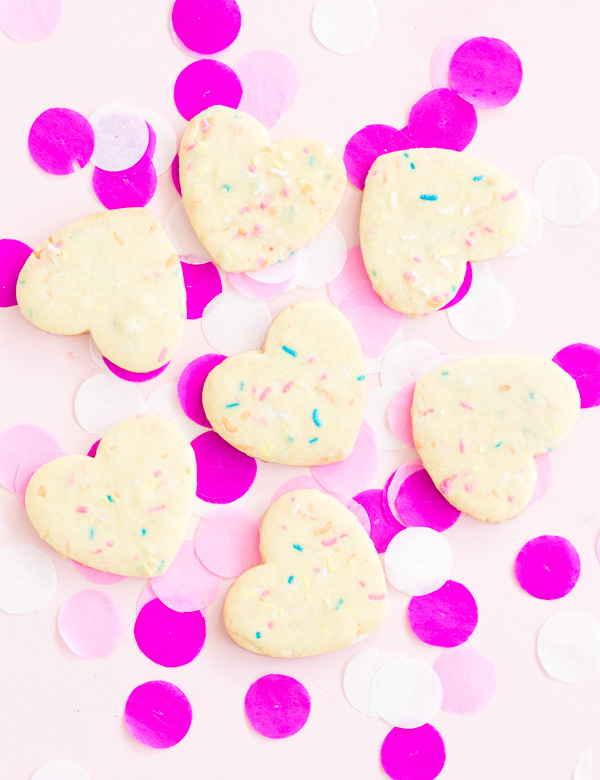 Or make her the funfetti heart cookie version. Wanting to give her a little pot plant or some herbs? 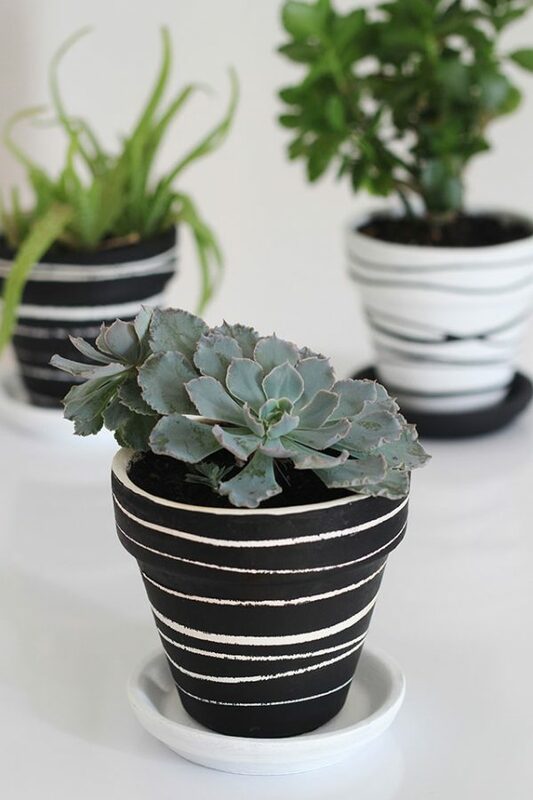 Jazz up the gift with these monochrome DIY pots, by We Can Make Anything. 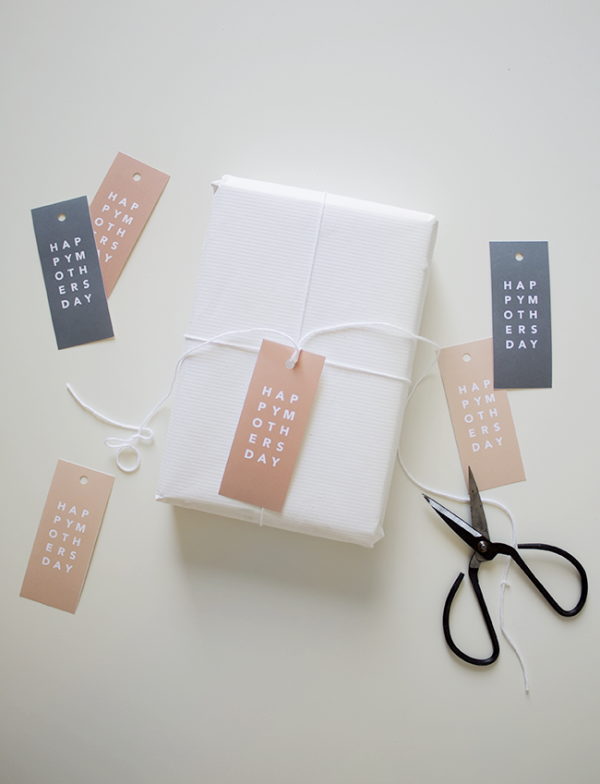 Finally, to top off the gift, print out these cute Mother’s Day printable Gift Tags, from Almost Makes Perfect. 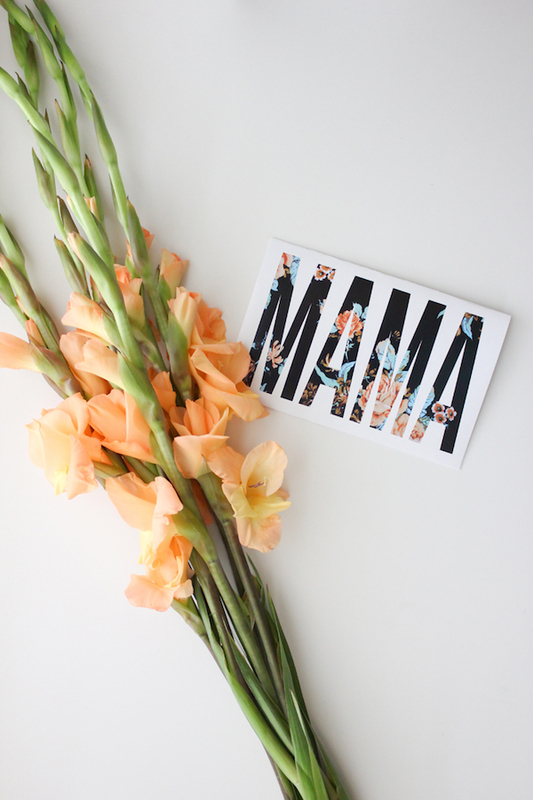 Or, use these gorgeous Mama Card Printables, from Delia Creates. What is your favourite DIY Mother’s Day gift? Is there something that you’ve always wanted, but never received?